We have a few fall-back meals that we both agree on. This one is my new favorite. 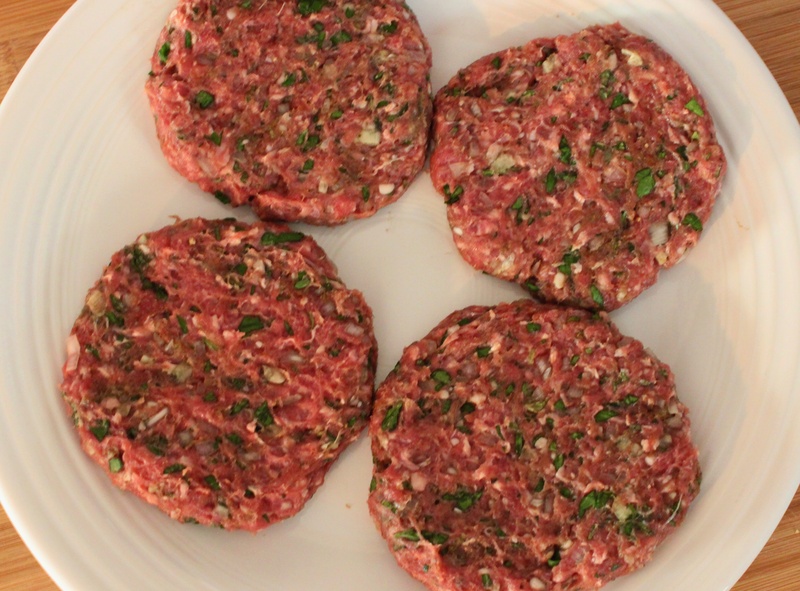 Divide the lamb mixture into 4 equal parts and shape into patties. 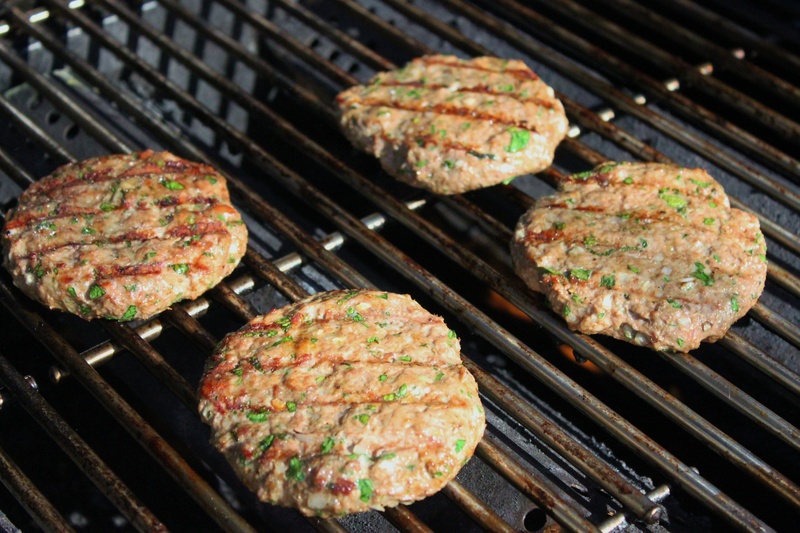 Grill for about 5-6 minutes per side…….’till they’re firm. Slip them into a pita pocket and you’re ready to go. 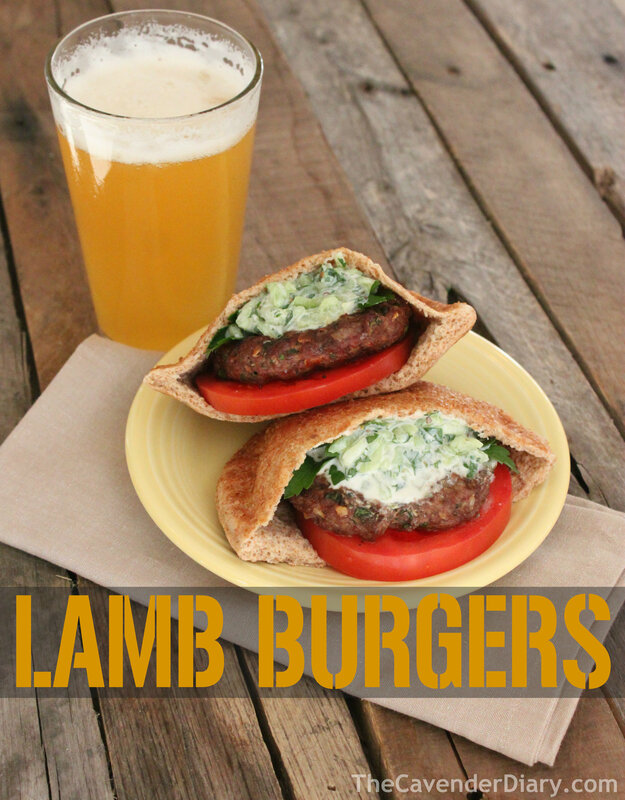 Jamie likes his lamb burgers with a smear of hummus and crumbled feta. I prefer a fat slice of beefsteak tomato and home-made tzatziki. 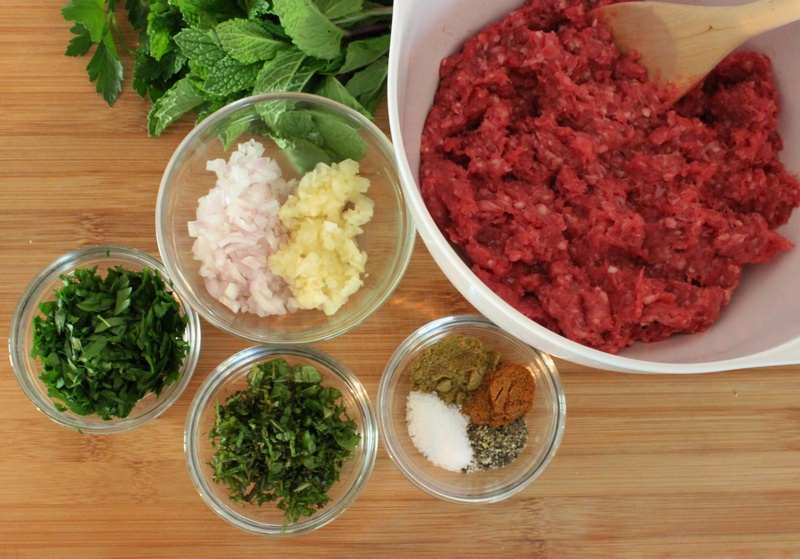 Why yes, I’d be glad to tell y’all how to make tzatziki. 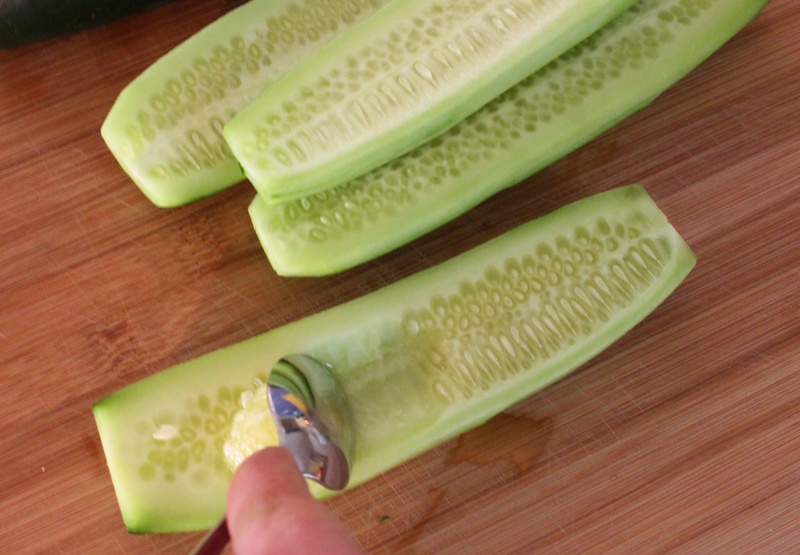 Peel 2 cucumbers and slice in half. Remove the seeds by scraping them out with a teaspoon. 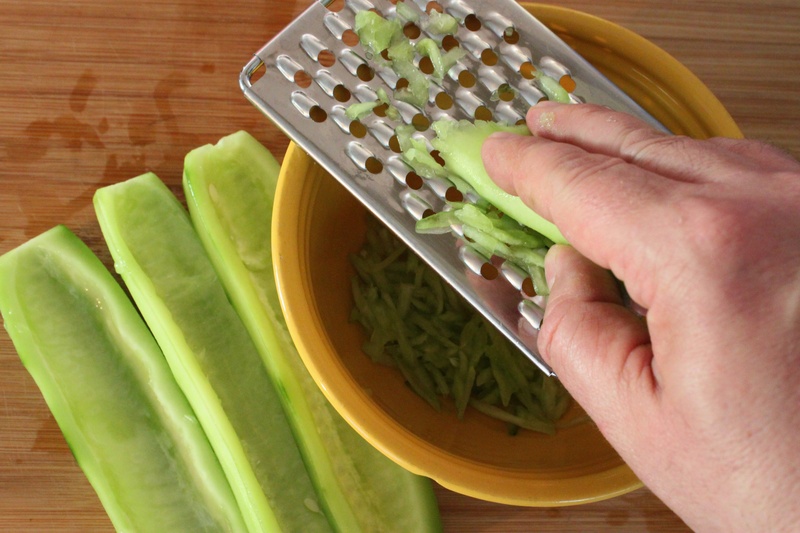 Use a cheese grater to grate the seeded cucumbers into a bowl. 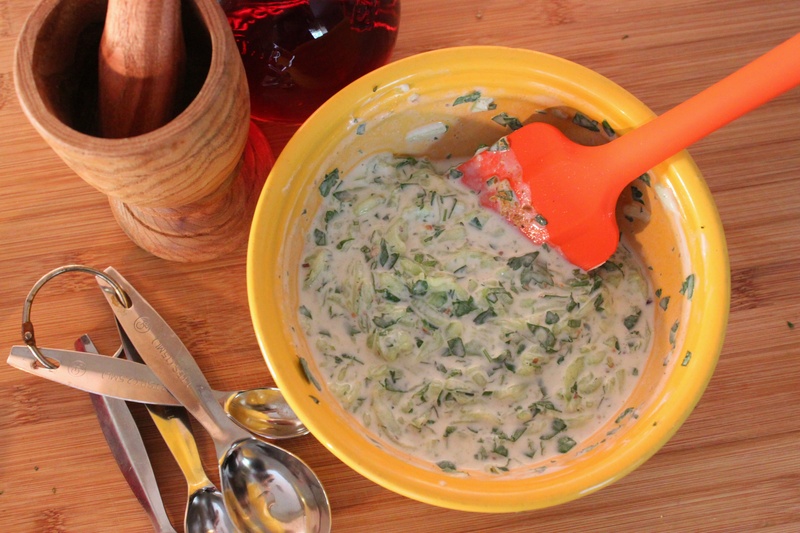 Spoon that stuff over the lamb burgers and prepare for your life to change. Thanks for a delicious-looking recipe, well, couple of recipes. Easy and good to use as soon as all of my herbs awaken outside. Barbara, we just planted mint. I use it so much and it grows like a weed…now we’ll always have some on hand. Yes, delicious ! Love, mary Jo. Ps I am getting better, be back soon!!! Hi MAry Jo!!!! They are delicious…MISS you too Sweetie.